The Nuvico CA-PMB Pole Mount has been designed for outdoor and indoor use with its construction of steel and aluminum housing, plus polyester powder coat finish. This pedestal mount weighs around 20kgs (45lbs) and is ideal for areas that have strong ceiling construction and support. 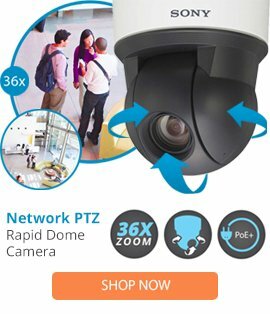 The CA-PMB can be installed directly to the surface of the ceiling or junction box and consist of feed-through cable holes on the back and bottom of the mount for installation of Mini PTZ Speed Dome and EasyView Dome cameras.